In Summer 2017, World Affairs Council hosted ten English Access Microscholarship Program (ACCESS) educators from across the globe. While in Louisville, the group met with Dr. Renee Campbell, President and CEO of Wesley House, to learn about the organization’s work to empower families, individuals, and communities toward self-sufficiency. An educator from Brazil, Cícero Ferreira, walked away with a profound idea. When back in Brazil, Cícero wanted to work with his ACCESS students on a project to tackle racism. With Martin Luther King Jr. Day approaching, Cícero invited Dr. Renee Campbell into his classroom via Skype, to share her experience surviving racism and to talk with students about how complex it could be dealing with this issue. Through her accomplishments, she inspired students to fight for a better world free from racism. Afterwards, students engaged in a project named ERACISM, where they debated ways racism is shown in the Brazilian society and came up with ideas on how to “erase racism” out. Cícero shared reflections about the virtual exchange below! It was a different Monday for our Access students during their intensive course in January. While in America people were celebrating Martin Luther King Junior’s Day, our students at ICBEU Manaus – a binational center in the Amazon city – were also getting a taste of how important this date is for our reflection: racism is a fact; it’s there and we have to stand against it. Thanks to Dr. Renee Campbel, this urgent message was even more underscored. Thinking of that, we at ICBEU Manaus, through our Pedagogical Supervisor Cicero Ferreira, have invited Dr. Renee Campbell to address a wonderful online speech to our students due to her fruitful endeavor to assist the women and kids who are victims of racism. Cicero met her during his visit to the Wesley House as part of a program from the American Embassy in partnership with World Affairs Council of Kentucky & S. Indiana. As he observed her willingness to contribute to a fairer society as well as the results of her work, he decided to keep in touch with her through social media and had suggested that one day she would be invited to address to the Access Microscholarship Program in his city Manaus, Brazil. The suggestion was promptly regarded as an invitation. As the day of Marthin Luther King Junior approached, they had agreed she would deliver a speech on racism, showing where it is present in the American society, how she has contributed to assisting victims of racism(she was one herself) and how our young students could make a difference in Brazil, their country. Speaking of the students, they were very touched by Renee’s story and felt very encouraged to become voices standing against all the evil racism does, just like she is a voice herself. The first step inside the classroom was a project named ERACISM, which served as a follow-up activity based on the issues caused by racism in Brazil, where it is present and how it can be fought. Aligned with Dr. Renee’s brilliant insights, students also came up with ways they can contribute to erase racism in their communities, schools and, considering a wide range, the Brazilian society. Dr. Renee Campbell, upon reading Cícero’s reflection had a few words of her own to share! I sincerely appreciate and hold dear the opportunity that I had to provide an online speech to the students and teachers who are a part of ICBEU. It was indeed and honor and a pleasure to be making such a presentation a monumental and significant day as Dr. Martin Luther King, Jr. Day. It was remarkable to connect via SKYPE to students and teachers who were as far away as the Amazon Rainforest. I felt very blessed to be able to discuss racism and to provide strategies on how to erase it. I also learned a great deal from the students. It was wonderful to get to know them and hear about their struggles of racism and colorism. I discovered that there is parity in the struggles that happen in Brazil, and the United States. Many youth face the same obstacles youth of color face in the United States. The students that I presented to that day are brilliant and resilient at the same time. I believe that they represent the tools and vision for our World’s great future, without racism. I must say that my dream is to one day visit and meet these students and teachers in person. The English Access Microscholarship Program (Access) provides a foundation of English language skills to talented 13–20-year-olds from economically disadvantaged sectors through after-school classes and intensive sessions. Access gives participants English skills that may lead to better jobs and educational prospects. Participants also gain the ability to compete for and participate in future exchanges and study in the United States. Since its inception in 2004, approximately 95,000 students in more than 85 countries have participated in the Access Program. This program is funded by the U.S. Department of State’s Bureau of Educational and Cultural Affairs, Office of English Language Programs. This project was locally implemented by the World Affairs Council of Kentucky and Southern Indiana in partnership with FHI 360. Original article printed in Portuguese at O Livre. 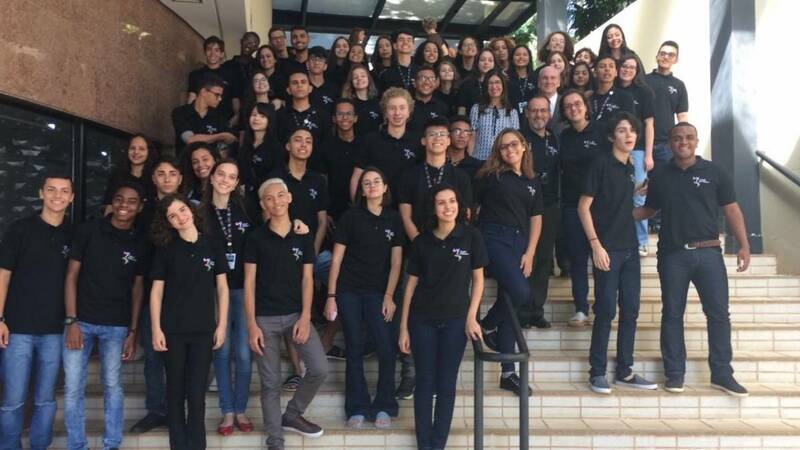 Fifty students from Brazilian public schools were chosen by the US embassy in Brazil, among 23,000 applicants, to gain an exchange in the United States. Among them is Vitoria Lissa de Oliveira Marques, 18, a Mato Grossan from São José do Rio Claro (296 km from Cuiabá), an example in her community for her leadership and volunteerism. The program that Vitória is participating in is called Young Ambassadors and was created in 2002. A success since 2010, it has been reproduced in all the countries of the Americas. Since the program began, 522 Brazilians have participated. Vitoria always volunteered—at school, in the church, teaching English to children in a public school—but it was in 2016 that she signed up for the program for the first time. “My mother had a fundamental role, because she was the one who made my pre-registration, without even telling me. I remember that, as the stages went by, I became more and more surprised and I reached the final, but I was not selected,” said the young woman. 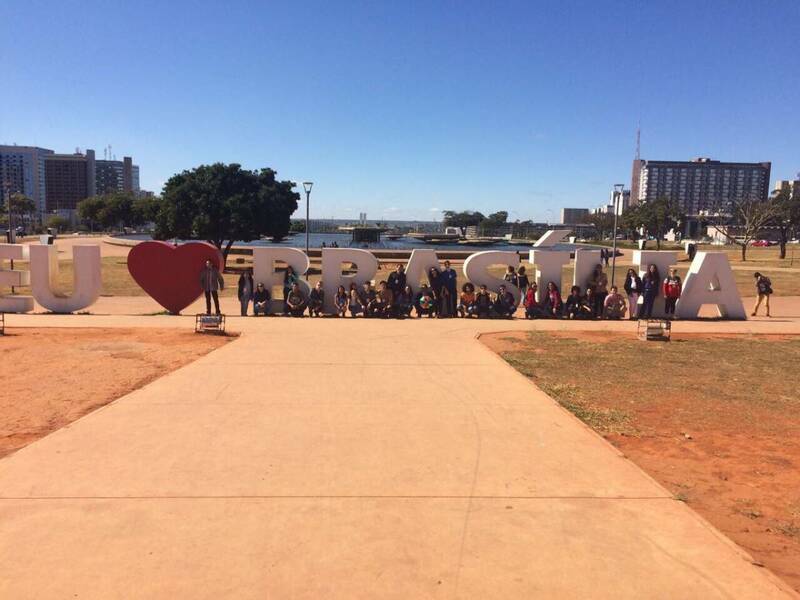 In the first attempt, as a finalist she was given the opportunity to participate in another embassy program, the EIP (English Immersion USA Program), which takes the finalists of the Young Ambassadors to a week in Brasília, where they undergo a total immersion in American culture. “We participate in lectures and classes on culture / history and other things in the United States, in partnership with Thomas Jefferson House. This gave me an incredible view of the United States and of Brazil itself, because it contains people from all over the country,” said Victoria. Last year, Vitória tried again and went through the entire selection process, which includes a pre-registration, sending documents to prove the written application, and a written and an oral test. The entire process is done by a partner institution, which in Mato Grosso is the State Secretary of Education (Seduc). In the end, four finalists per state are selected—and one of them gets the chance to go to the Young Ambassadors and the other three go to the EIP. 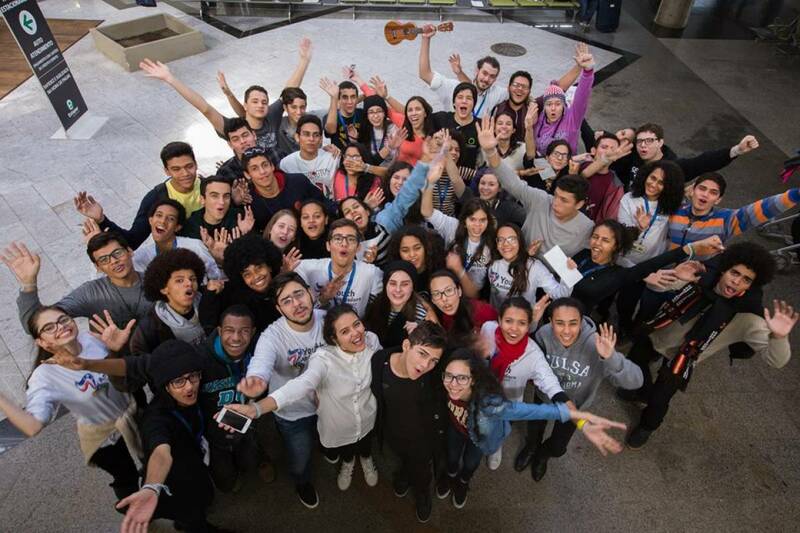 The program is for students aged 15 to 18, who are in high school, have a good command of the Portuguese language, do some kind of volunteer work and have never been to the United States. That is, this was the last year for Victoria, who is 18 and finished high school in 2017. Fluent English is not a requirement, but it is necessary to be at a good level of the language in order to communicate in that country. Victoria never took lessons, she learned English alone. She is currently awaiting the outcome of the Enem, as she intends to attend medicine. In the meantime, she will spend three weeks in the United States with the Young Ambassadors, attending leadership workshops, volunteer projects, meeting government officials and US community leaders and giving presentations on Brazil. “I’m going to stay in Washington for a few days, and then I’ll be staying at an American family’s home in Louisville, Kentucky,” she said. With the trip coming—she goes on Friday—the young woman said that her anxiety was “at a thousand”, especially regarding meeting the family that will host her. She believes that this experience will transform her future, giving her the opportunity to broaden her worldview and improve her English. “It’s the realization of a dream, a result of commitment. I just have to be thankful,” she said.